Dr. Erick Montero is a thoracic and cardiac surgeon from Laguna Hills, California. He has been working in the medical field for 15 years. Dr. Erick Montero graduated from the Keck School of Medicine of USC. He continued with a residency stage at UCSF, followed by a fellowship at the University of Southern California - LAC+USC Medical Center. Dr. Montero is a board-certified specialist in thoracic and cardiac surgery. He is a member of the American College of Surgeons and the Society of Thoracic Surgeons. 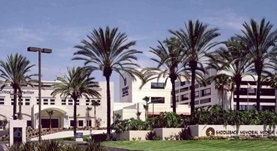 Dr. Erick Montero collaborates with the Saddleback Memorial Medical Center.